Top down Aerial view of huge waves in the turquoise waters of Cala Mesquida, Mallorca. 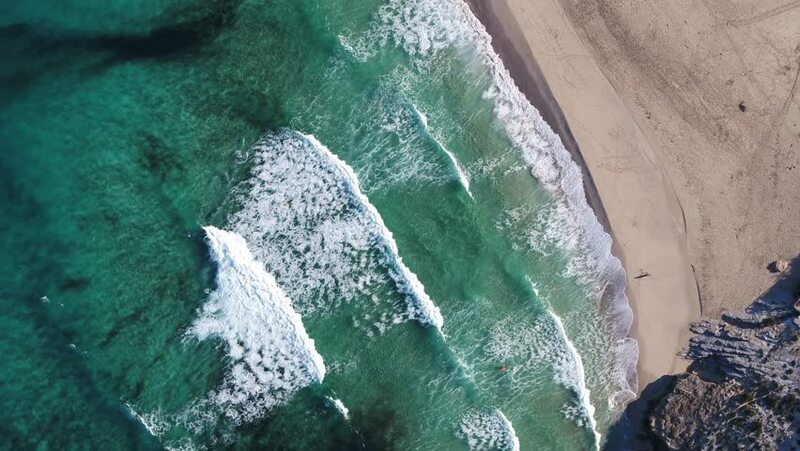 4k00:15Aerial view with big ocean waves. Surfing and waves.